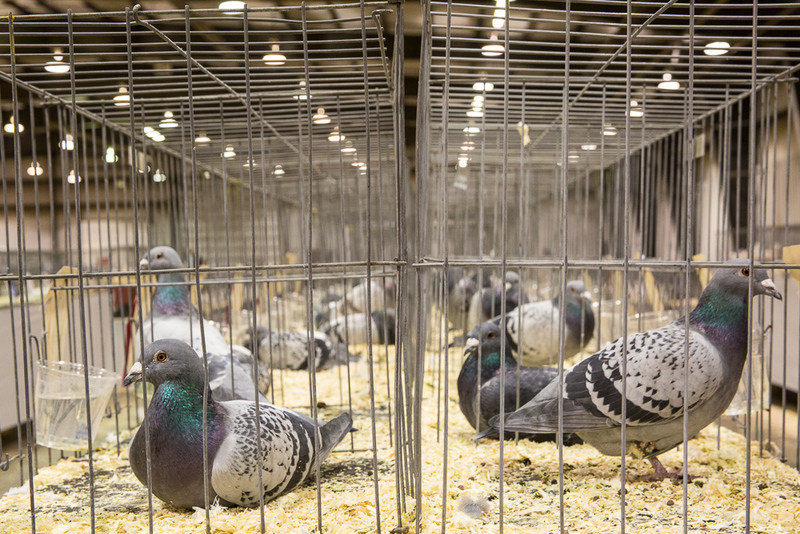 Pigeons on display at Red Deer Westerner Park. 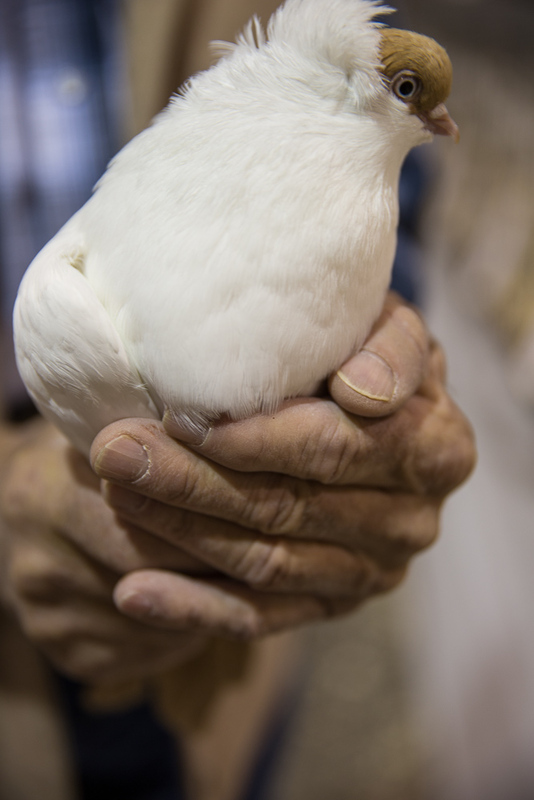 I was talking to Lester, a long-time breeder of fine looking helmet pigeons. “It’s difficult”, he said. He went on to explain that there are a number of methods, including physical examination of the vent (makes sense-this is where the eggs develop) or, surprisingly, the relative length of the toes. The most curious, however is to take a needle and thread, suspend it above the pigeons lower, underbody and watch how it turns. If the needle travels up and down it’s a male; if it goes around in circles, it’s a female. Maybe there is a difference in magnetic fields between the sexes. 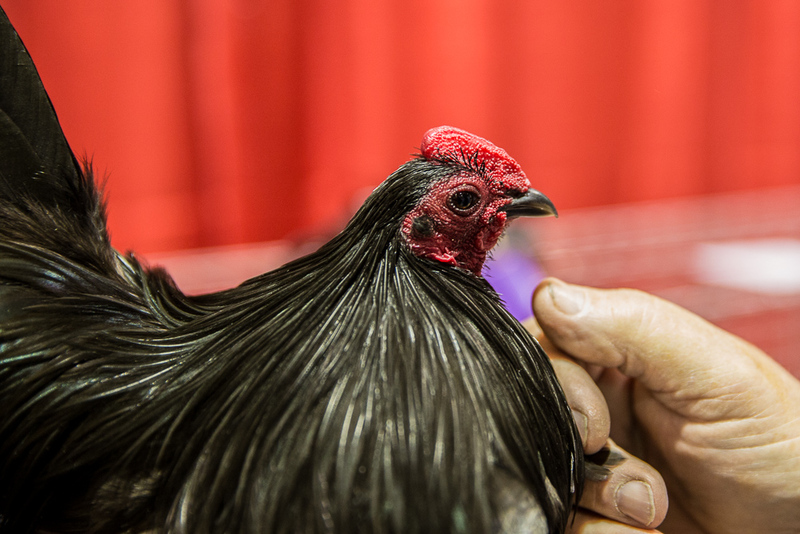 Some science to investigate in a future blog but meanwhile….. here’s the last of my poultry photos!